Yesterday I bought my iPhone 5S 16GB Space Grey model. Since I didn't buy a case with the phone or had ordered one before, I was extra careful with it. The iPhone 5/5S's aluminum parts easily get scratched and scuffed. So I had to order a case ASAP. Plus, I didn't sign up for the Apple Care+ Plan this time around. That's another ¥7,800 which can be used for something useful. So that means, if I dropped the phone, that would be the end. So the case had to be able to protect the phone well if I drop it by accident. My friend was using a brand called iFace and it is a big case. But it had a big bumper around the edges. It was a bit expensive and it didn't even come with then protective film. So you had to order them separately. Those two items would have totalled up to ¥3,000. Yikes! So I searched around and found a newer, slightly smaller model to what my friend was using on his iPhone 5. The bumper was thinner but it still looked sporty. I was specifically looking for the Black and Yellow model as it would blend in with the color of my iPhone, plus, would make it even more sporty. Like a Ferrari. This is what I ordered. It was fairly cheaper at around ¥800. Then for the protective film, I bought ones called ProGuard. That's the same brand I was using on my iPhone 4S. They served me well for a long time. But I didn't want just protection. I wanted to kill the glare effect. I really hate glare. The one I had on my 4S was the anti-glare edition. However there was one issue with It. The texture on the film would kind of kill the retina effect and takeaway the sharpness. There are many variants of ProGuard shield to choose from and back then I had chosen the high quality anti-glare shield. But there is a super fine quality anti-glare shield as well. It is much more expensive though. But this time I ordered that. I ordered them from Amazon and they were delivered to me on the next day. The case was flawless and beautiful looking. When I showed it to my wife, she asked me who on their right mind would get a yellow case. But after I put it on, she changed her mind. But she still seemed to prefer the white one. But my friend had the white one and I wanted something else. The other colors were too girlish. 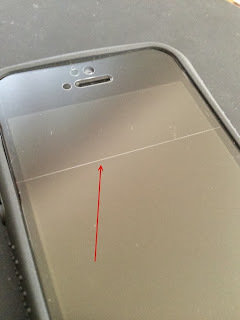 There was a slight issue with the screen protector though. I'm not a patient guy. 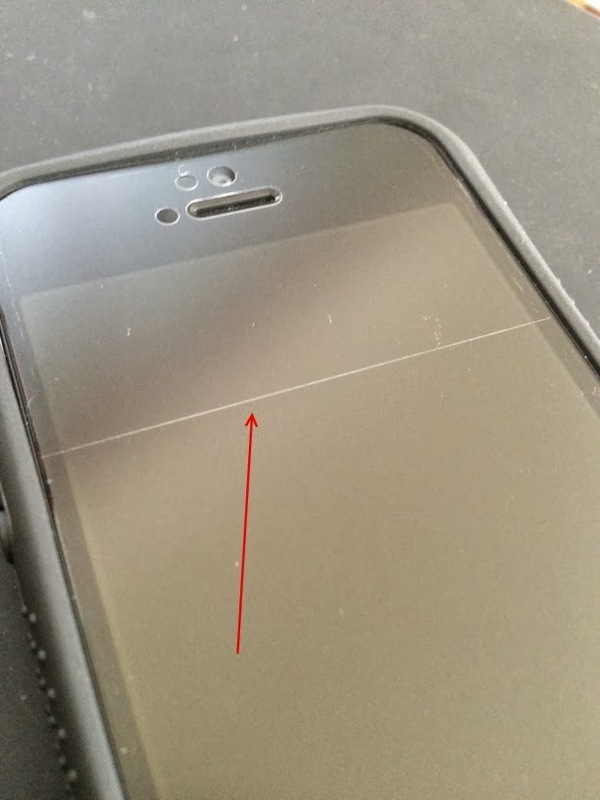 I always screw up when I have to apply a screen protector. Either some dust particles sneak in or I misalign it or I let air bubbles show up. This time I was extra careful not to screw it up. The filter comes with a sticker on the side that touches the screen, and you have to remove it before applying. The sticker is cut into two parts. First you remove the small part and let it rest on the screen. After that, you slowly remove the large part while letting it kiss the screen gradually. But at the border of the two stickers, the separating line in imprinted to the filter. I have contacted the seller about this and am waiting for a reply. I hope they will replace it free of charge. Or otherwise I will have to evaluate it as "bad".